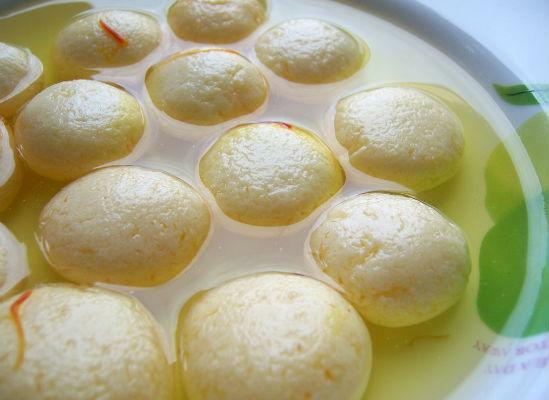 Rasagulla is a popular Bengali sweet made during festivals like Diwali, Navratri or during special occasions. 1. Heat milk in a pan over medium flame. 2. Add sugar and cardamom powder. 4. Mix bread slices, rava and milk powder in a bowl. 5. Add little water and mix well. 6. Make small balls and keep aside. 8. Fry the prepared balls until golden brown. 9. Remove and drop them in the milk. 10. Allow them to soak for 15 to 30 minutes. Feel free to comment or share your thoughts on this Bread Rasagulla Recipe from Awesome Cuisine.